Russia has unveiled a whole batch of cutting-edge weapons, warning potential adversaries against any hostile actions and promising a swift response. RT highlights the capabilities and specifications of the new munitions. The impressive new weaponry was unveiled by Russian President Vladimir Putin earlier this week during his annual speech before the Federation Council. The majority of the new military toys looked like they came straight from a science fiction book. RT looks into the capabilities of the unveiled weaponry and feasibility of the technologies they utilize. The newest Russian liquid-propelled intercontinental ballistic missile (ICBM), RS-28 Sarmat (NATO reporting name – SS-X-30 Satan-2) is in the “active testing” phase, Putin said. It has been developed to replace the reliable yet aging Soviet-era strategic nuclear missile R-36M2 Voevoda (SS-18 Satan). The key components of the new complex have been tested over the past few years. 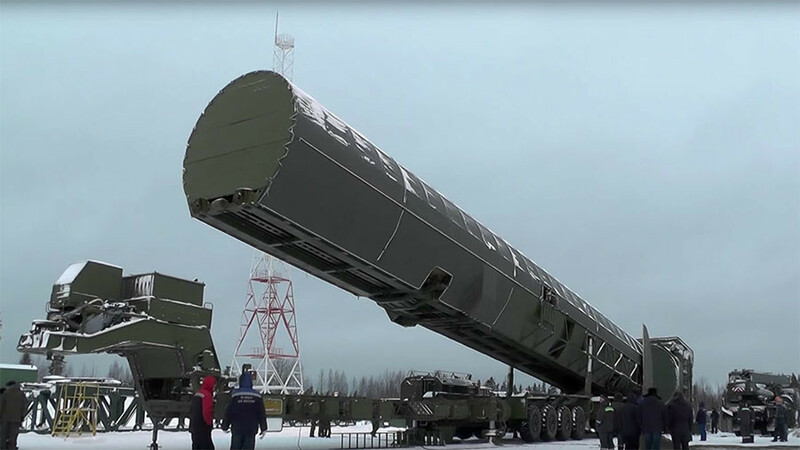 Capable of carrying different types of nuclear warheads, the Sarmat system has virtually no range limit and will be able to deliver its payload anywhere on the planet, across either the South or the North Pole. The video released by the Defense Ministry shows the new missiles in transport containers, as well as a launch of the device from an underground silo. The test missile features a bright checkered coating, which facilitates measuring the speed of the projectile. 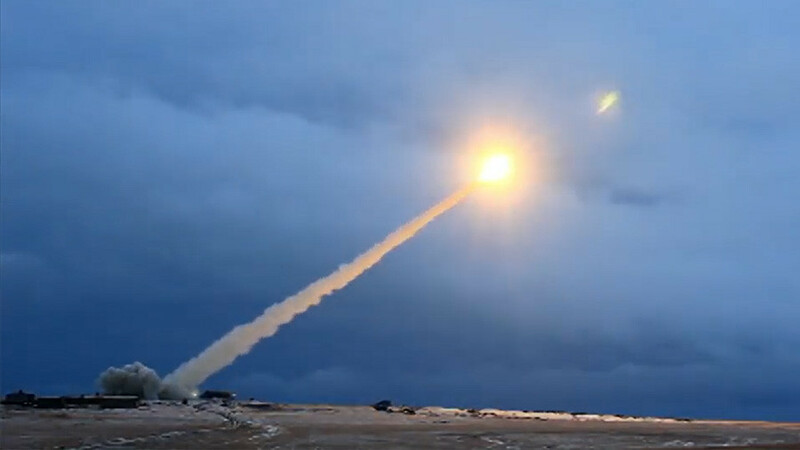 The first pre-production batch of Sarmat missiles is expected to make it to the Russian strategic stockpile in the nearest future, according to the Russian Federation Council Defense Committee head, Viktor Bondarev. The full-scale production of the new missiles will be launched within a year or two. The missiles will fit into existing underground silos with minimal adjustments, Chief of the Russian Strategic Missile Forces Sergey Karakayev said. Another new weapon unveiled is an air-launched hypersonic missile dubbed the Kinzhal (Russian for ‘dagger’). The missile is already undergoing tests in the military, according to Putin. The device is launched from high-altitude aircraft, such as the MiG-31, and has an effective range of 2,000km. The missile is able to travel 10 times faster than the speed of sound, is highly maneuverable and can reliably penetrate all the existing and even perspective air-defense systems. The Kinzhal can be fitted with nuclear and conventional warheads. Another Russian hypersonic novelty is the Avangard missile complex. While little detail was revealed about the device, it appears to be a sort of boost-glide payload delivery system to be fitted in upper stages of strategic ballistic missiles. The Avangard has already been tested and entered serial production, according to Putin. While the idea of a boost-glide system is not new, few projects have reached even the prototype stage due to their inability to withstand extremely high temperatures for prolonged time. It appears that Russian scientists managed to create the necessary materials, as the new device is capable of maneuvering at hypersonic speeds and evading anti-aircraft defenses. “Use of modern composite materials allowed to solve the issue of controlled flight of the winged gliding block almost in plasma formation conditions. It goes to the target as a meteor, as a fire ball. The temperatures on the device’s surface reach 1,600-2,000 degrees Celsius. 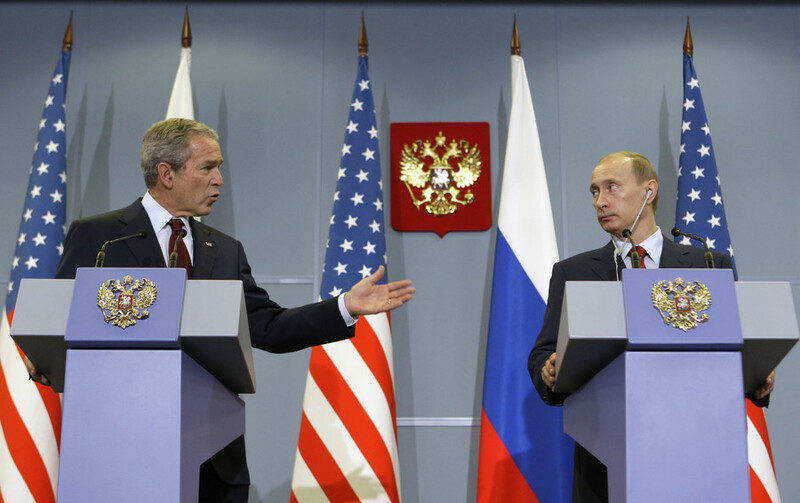 The winged block can be reliably controlled at the same time,” Putin said. Little is known about a “combat laser system,” also unveiled by the Russian president. The system is a truck-mounted complex with a cannon-like device, which presumably is the laser in question. The exact purpose of the system, however, remains a mystery. The Soviet Union used to have several prototype ground vehicles designed to “blind” optical-electronic equipment of the enemy vehicles with a laser beam. It's debatable whether their jammer-like nature warrants the name “combat lasers.” The Soviet Union also had projects for anti-missile and anti-satellite laser weaponry, aerial and even orbital combat lasers. None of them came to fruition at the time. The US has also designed a number of laser prototypes, including anti-missile and anti-drone laser systems. The only US laser device to see real action is a Humvee-mounted ZEUS-HLONS vehicle, used to destroy unexploded munitions and IEDs in Afghanistan and Iraq. This new missile was successfully tested for the very first time late last year and does not have a name yet. The missile has “unlimited range and unlimited ability to maneuver” to penetrate any existing anti-missile defenses. 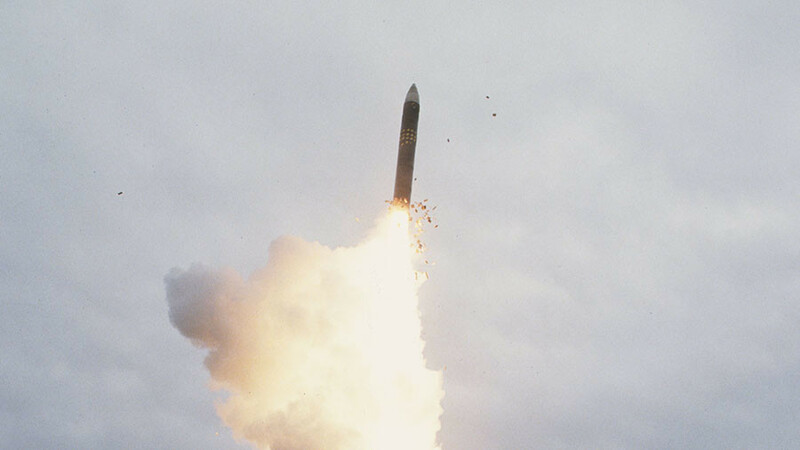 Apart from that, the successful test of the device opens the prospects for an entirely new type of weaponry – nuclear-powered strategic missiles. 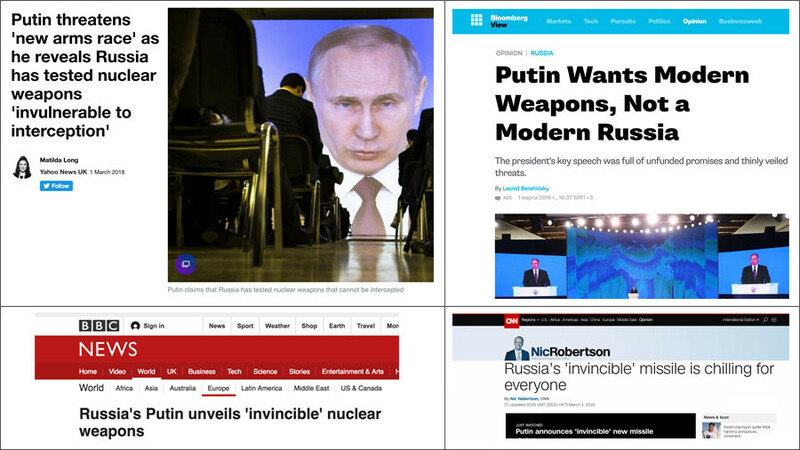 “The launch and the set of ground tests allow to get to creating a radically new type of weaponry – a strategic nuclear weaponry complex with a missile fitted with a nuclear powered engine,” Putin said. The idea to fit aircraft with nuclear-powered engines dates back to the early years of the atomic energy age. Both the US and the Soviet Union explored the possibility of building nuclear-powered bombers and fighters, yet lack of technology to build miniature reactors, issues with cooling and shielding crews from radiation, as well as rapid development of missiles, did not allow the projects to leave early testing stages in both countries. 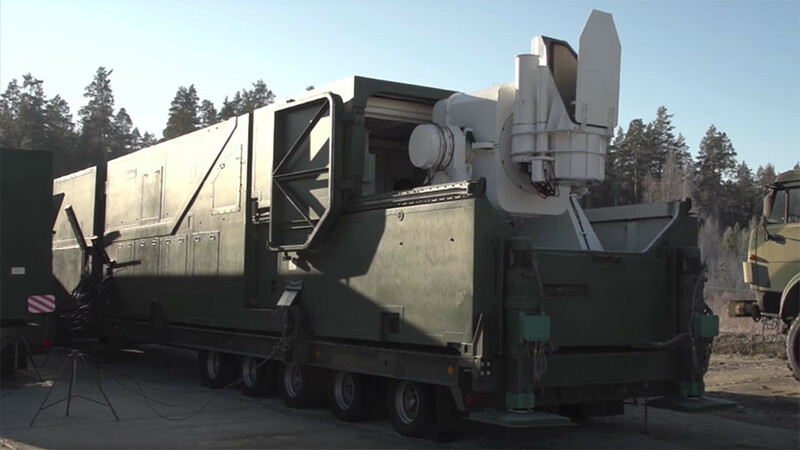 This device is capable of traveling intercontinental distances, while emitting little noise, and can carry nuclear and conventional munitions, according to the Russian president. The drone submarines are also very fast and maneuverable, unmatched by any existing crewed subs, torpedoes and anti-torpedo munitions. The drone sub boasts a unique miniature nuclear-powered engine, quite powerful for its size. The device successfully emerged from years of tests in December 2017, Putin said. The idea to create an intercontinental nuclear-powered underwater drone has been floating in the minds of Russian (and before that Soviet) scientists since the 1950s. Back in the day, the devices were considered a type of torpedo. No miniature nuclear reactors were available back then, and the most powerful capacitors allowed such torpedoes to have a range of only some 30km – nowhere near an intercontinental scale. Short-range, chemical-propelled nuclear T-5 torpedoes, however, were successfully tested by the Soviet Union at least twice in the 1950s, and were adopted by the military and remained in service for some time.